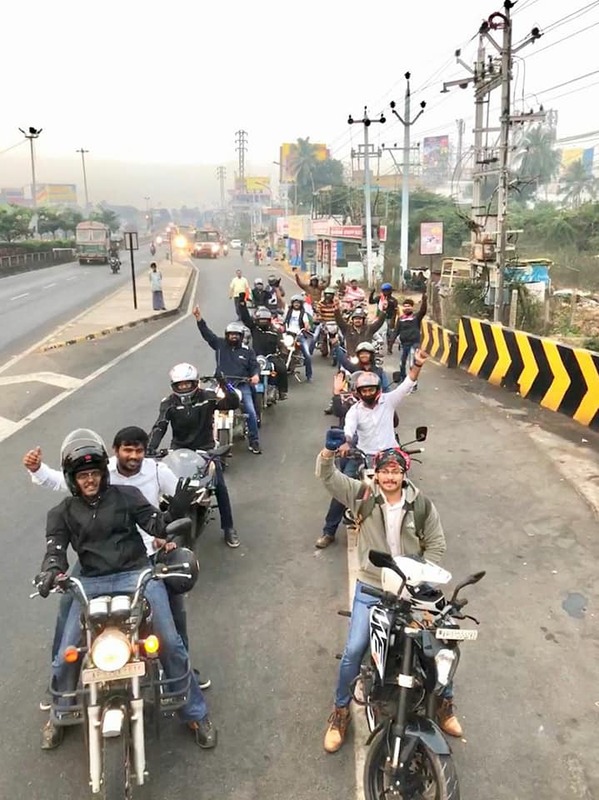 What a weekend to start with Road Thrill Vizag…. 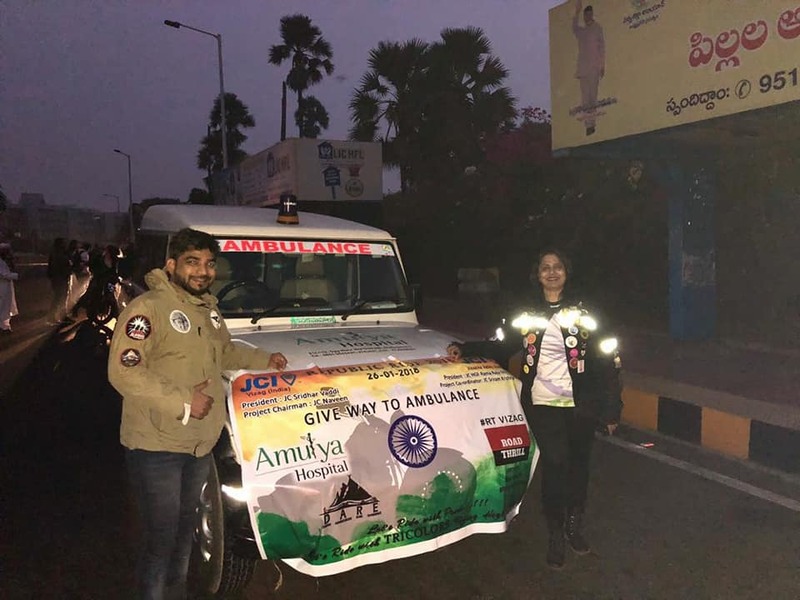 Early in the morning started off a ride to Tatipudi reservoir which was flagged by who truly are an inspiration…..Vaishali maam is a solo biker of Andhra Pradesh and Ameen sir goes by the name Shareef Hindustani and he rides for a cause which says Speak Out M.A.R.D for the violence against MEN. 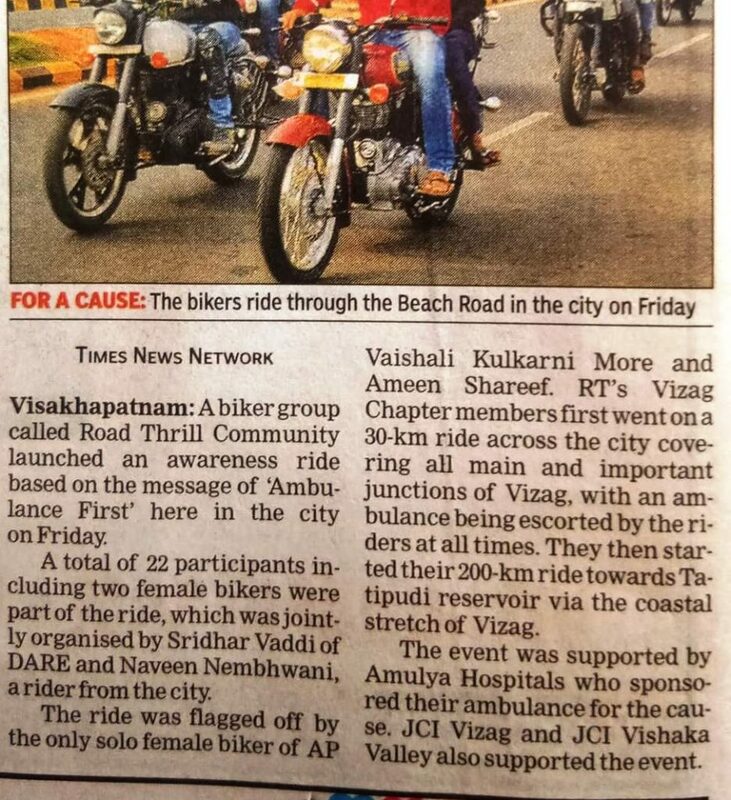 The Road Thrill Community is all riders community which doesnt discriminate among the bikes we ride…Thank you Jacinth Paul bhai, Varun Singh Dewal bhai and Kamal Choudri Bhai for having faith in us and launching us as a chapter in Vizag. 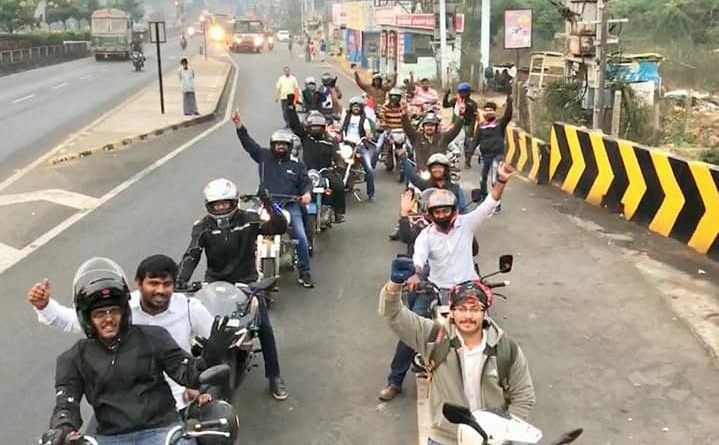 This 69th Republic Day (Sreedhar Vaddi and Me) have officially been announced as the administrators of Road Thrill Chapter in Vizag – Road Thrill Vizag. 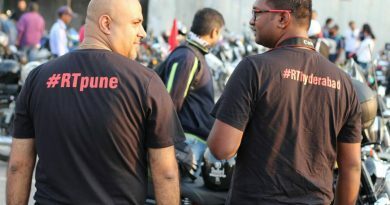 The First Road Thrill Community in Andhra Pradesh and the Tenth in entire India. 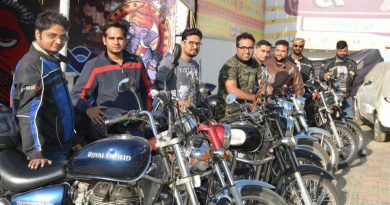 Thank you Uday Kumar Prasanth Chiya Srikanth Vipperla Pavan Kumar V P Balu Bammidi and all the other riders who have joined us for the ride. And a brilliant Evening Spent with Raj Patel Saurabh sir and Khusboo maam. Thank you Vir Das for making us laugh so much that our cheek bones have started paining. 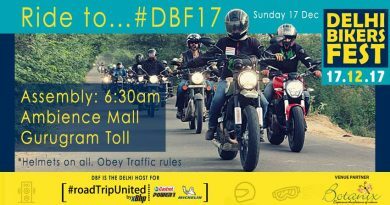 Delhi Bikers Fest 2017 Dec 17th – Be There! Road Thrill Delhi – The Beginnings in the Rajdhani!